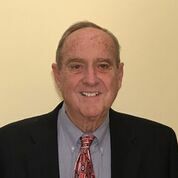 Rick Woods was the quarterback of the 1963 Morse High School Shipbuilders as they won the State Championship against Stearns and lost to the same team in the finals of the New England Championships. Rick was named to the first team All-State squad his senior season, along with teammate Joe Harrington. Rick’s outstanding play at the Boston Garden in the New England’s earned him a spot on the first -team All- New England team. After graduation, Rick went to the University of Maine where he was played freshman basketball for Woody Carville and then a three- year starter for the Black Bears.